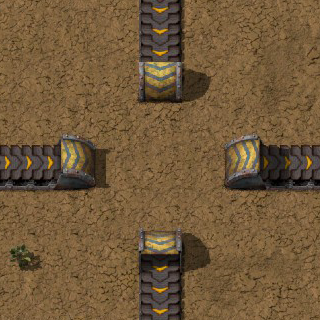 The Underground belt is the first tier of underground belts. This type of belt is generally used to allow a transport belt to cross another transport belt by going underneath it. The speed of the underground belt is the same as the speed of the basic Transport belt. This page was last edited on 9 March 2019, at 02:42.